I wouldn’t say I am the most decisive person in the entire world. I just really appreciate second, third, fourth, and even fifth opinions! Today is a special day because today, I made one of the best decisions ever and I did it on my own. What was the issue? Well, brownies are my latest obsession. As soon as I decided to make my own, I was faced with a quandary. 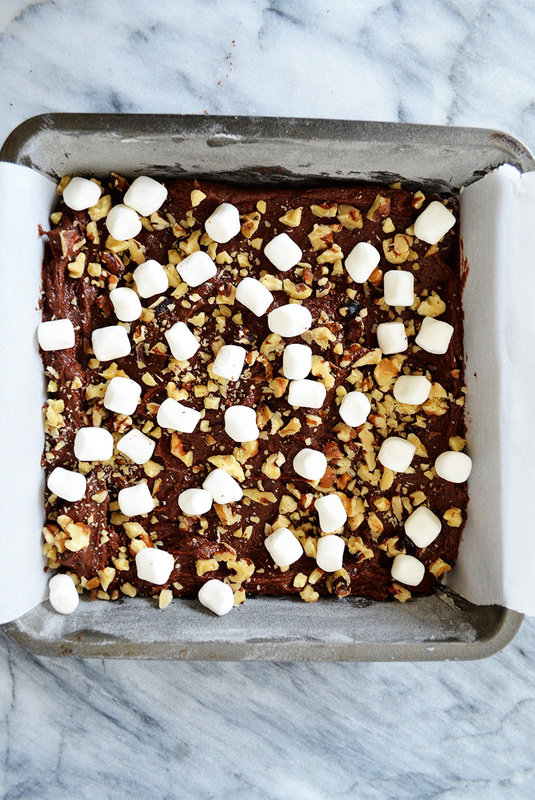 Do I make rocky road brownies or turtle brownies? I paced the kitchen back and forth, my mind consumed with this dilemma. 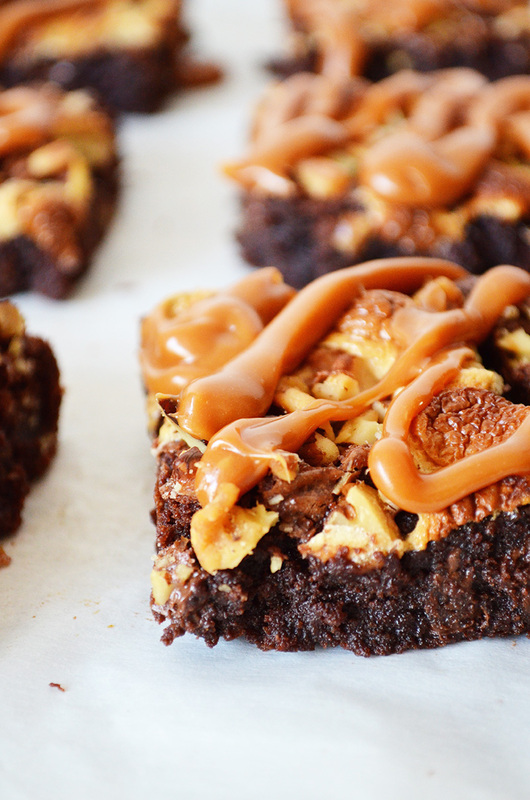 If I make rocky road brownies, I won’t get any of that delicious sweet caramel. 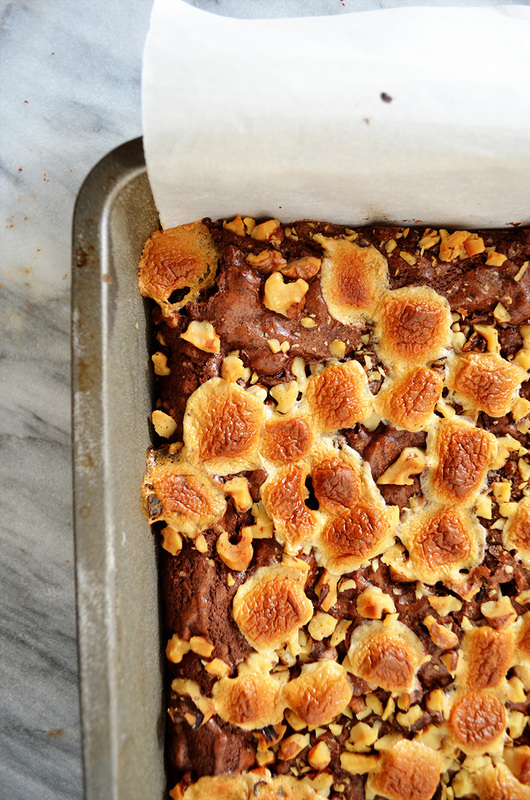 If I make turtle brownies, my heart will yearn for soft, sticky marshmallows. Given my way, I’d make them both. Then it hit me! 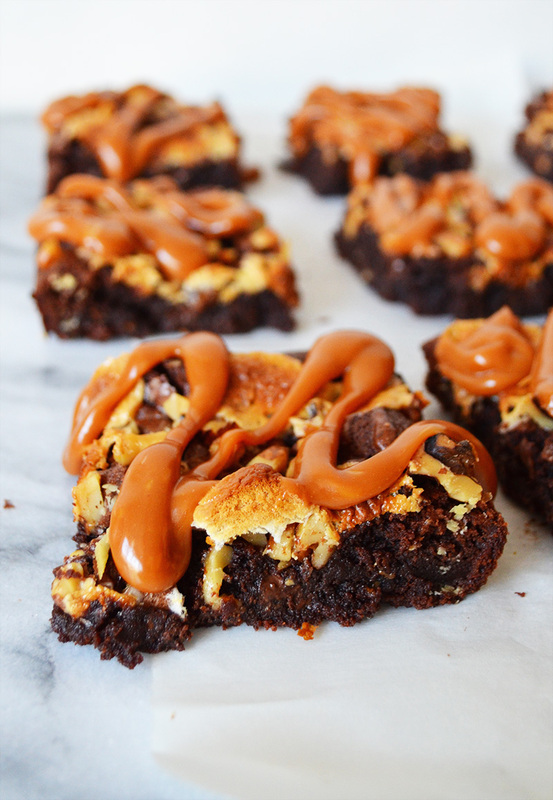 Why don’t I make brownies that are a hybrid of rocky road and turtle? The rest is history and in my stomach. Fudgy brownies are my favorite kind of brownie. I coarsely chopped up half a cup of milk chocolate morsels and stirred them into the batter to achieve optimal fudgy-ness. Top with chopped walnuts (and/or pecans) and marshmallows, then bake it in the oven for 30 minutes, plus or minus 2 minutes. Once it has cooled, slice it into nine pieces, then prepare the caramel sauce. Carefully drizzle the caramel on top. It’s extremely hot! 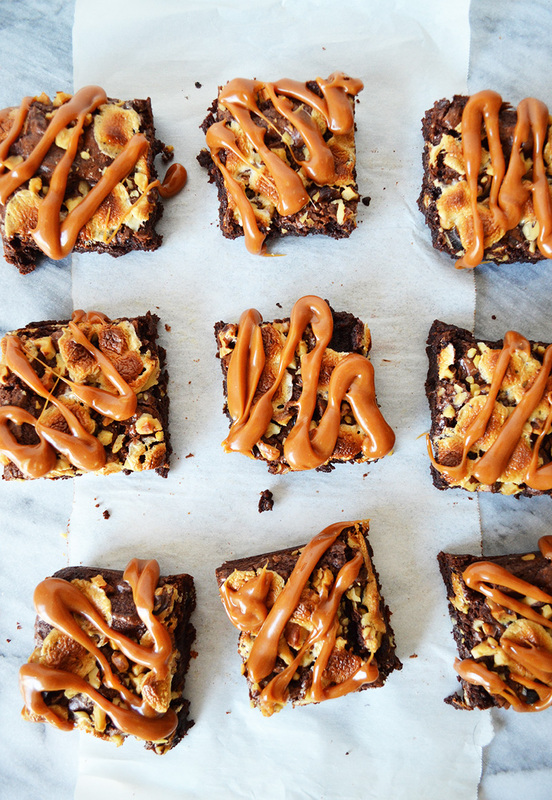 The moral of the story is…always make fudgy rockin’ turtle brownies. always. Preheat the oven to 350F degrees. Grease and flour a metal 8' x 8' baking pan. Line the bottom and sides parchment paper, then set aside. In a large mixing bowl, cream the butter and sugar together with an electric mixer until fluffy, about 4 minutes. Add vanilla extract and the eggs, one egg at a time. In a separate bowl, sift together the cocoa powder, salt, and flour. Slowly add the dry mixture to the wet mixture, and mix until just incorporated. 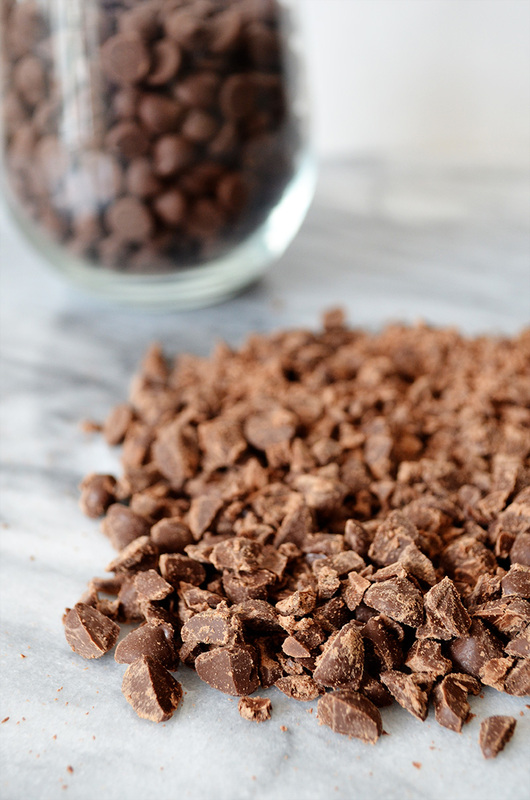 Stir in the chopped chocolate chips, then top with walnuts and marshmallows. Bake for 30 minutes, then use a toothpick to check for doneness. Allow it to cool completely, before taking it out of the pan, then slice the cooled brownie into 9 pieces. In a microwave-safe bowl, microwave the caramel squares or bits and the heavy cream until completely melted and smooth, about 1 to 1½ minutes. 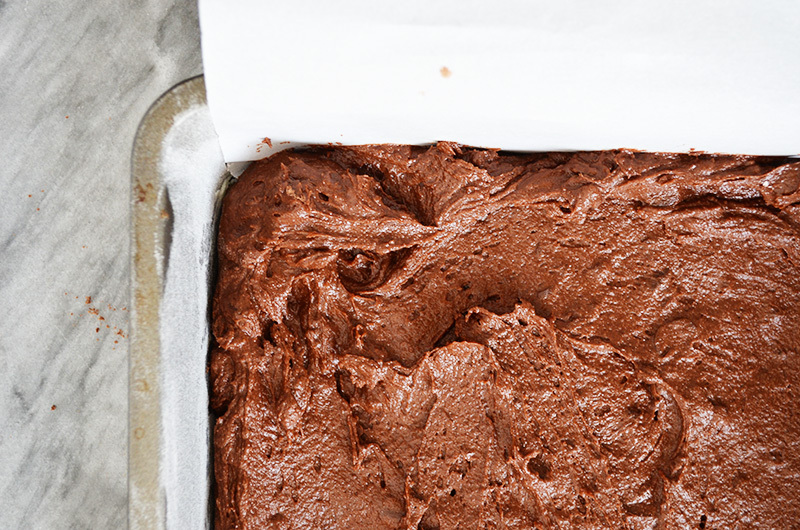 Stir until smooth, then drizzle over the brownies with a spoon. This entry was posted in Desserts & Sweets.